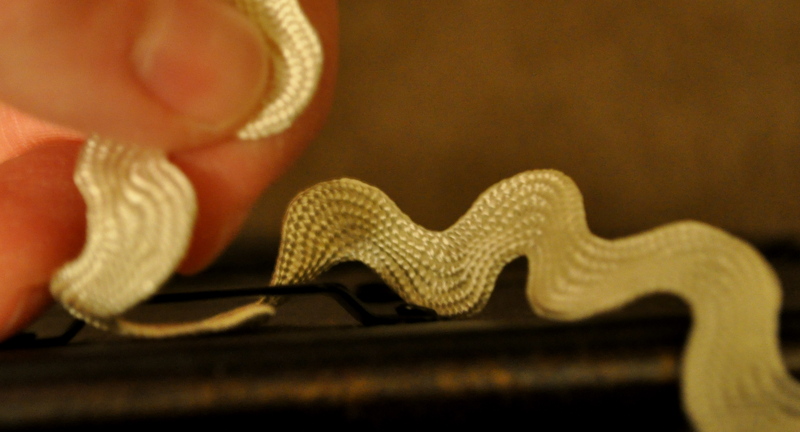 I forget where I first saw this project, but I really liked the idea. I love hanging up pictures, but I was trying for a way that wouldn’t cause lots of nail holes. (This project used four nail holes, which would have happened if I’d just hung them, but it was still worth it…) Also, most of this things needed for this headboard can be found around the house, so it can make for a cheap decorating idea! So, first, I picked out frames (make sure they’re not heavy), ribbon, pictures and a curtain rod (again, not heavy) that I liked. 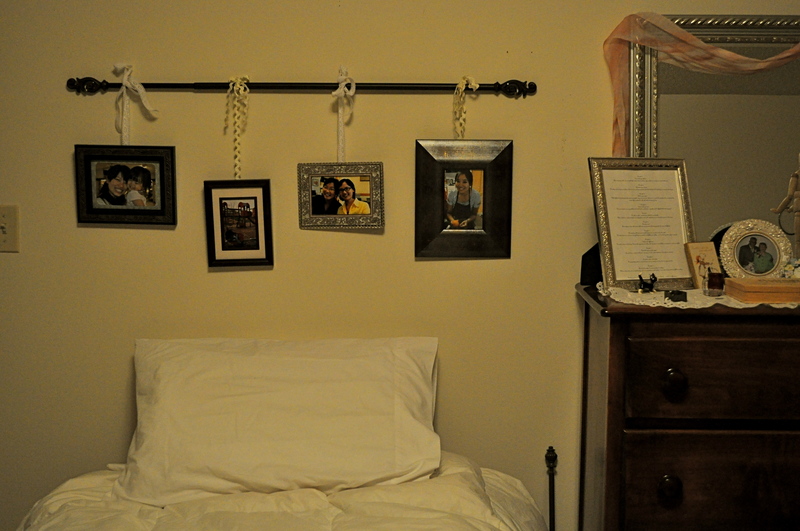 The rod was leftover from my last apartment, as were two of the frames. I bought the ribbon and two frames at Wal-mart. I don’t remember how much all this was at the moment, but I think it was in the $10-$15 range. First measure above the bed (or desk or piano) to see how wide your rod can go. This will determine how many frames will fit. I have a single bed, so only about four frames would fit without seeming too crowded. 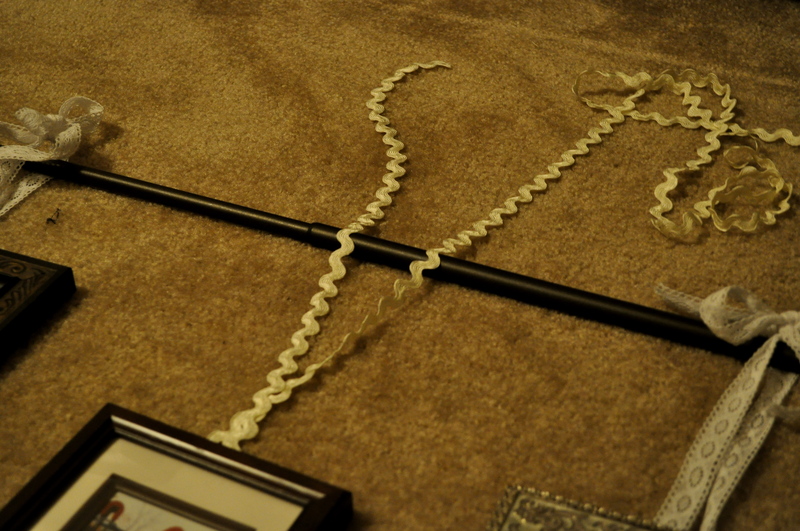 Then, play around with frame arrangements and spacing on the floor with the curtain rod. Then, tie the pictures to the rod. Loop the ribbon through the hook on the back (hot glue if there is no hook) and make sure to leave plenty of ribbon to tie a bow. 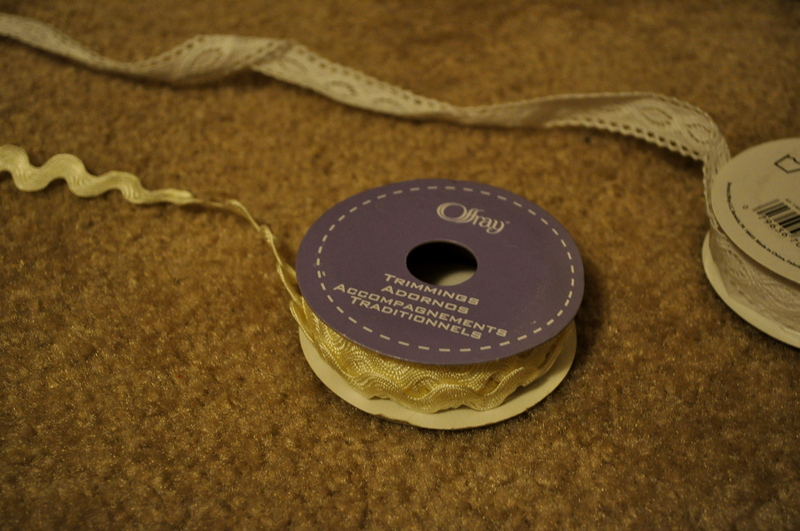 (Note: if you don’t want bows, you can slide the ribbon around so that the bow is behind the picture). I double-knotted my bows to make sure they would hold. The ric-rac needed a little more length for the bows than the lace did. 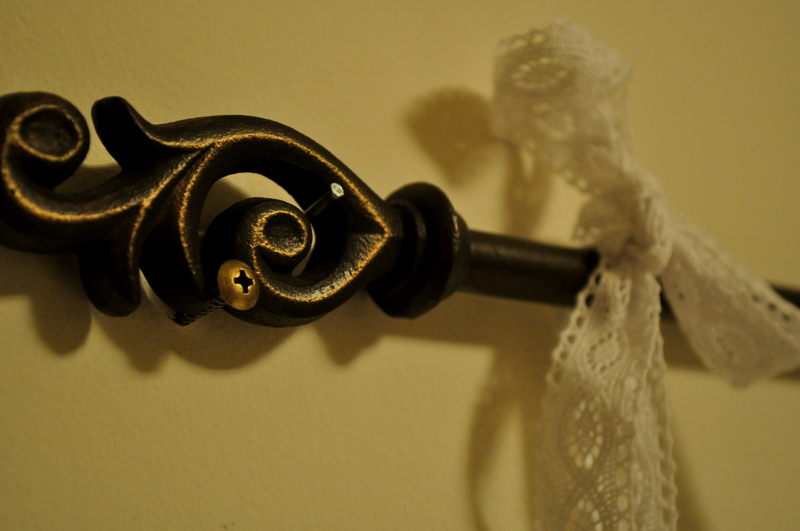 I used screws and nails to secure the curtain rod on the wall. The regular rod hooks put the rod too far away from the wall. As a result, the pictures did not hang against the wall and kept turning this way and that. 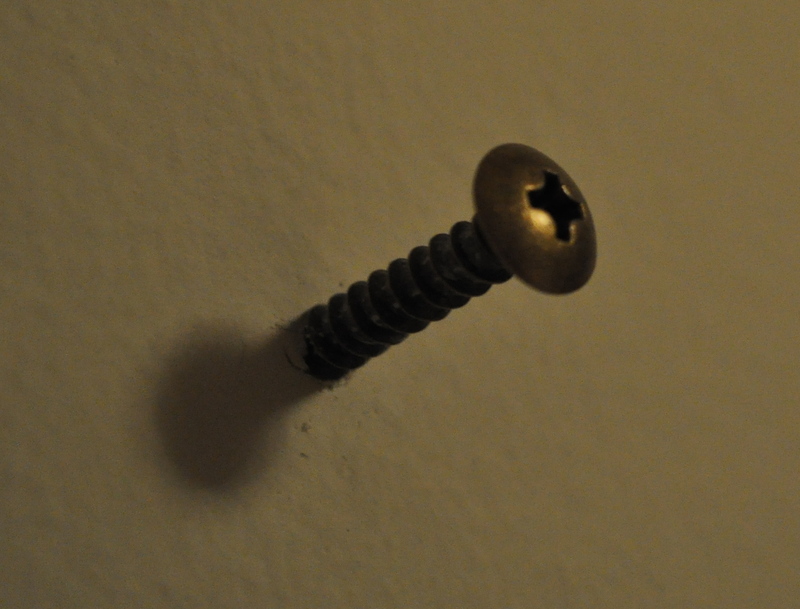 Finally, hang the rod, with the pictures still on it, on the screws/nails. The pictures will bang against the wall a little, so move slowly. Then you’re done! Posted on December 9, 2010 by Katie •	This entry was posted in Decorating!! !, Handcraft. Bookmark the permalink. Dear~ hope you have soundly sleep and good mood everyday!